The going on the chase and hurdles courses at Cheltenham has eased to soft, good to soft in places following 4mm of overnight rain. The going on the cross-country course is slightly faster and has been described as good to soft, good in places. Speaking at 8am on Saturday morning, clerk of the course Simon Claisse said: "We had 4mm of rain overnight which was within the range we were forecast. It's just started raining again but it's only due to be a passing shower. The forecast for this afternoon is sunny spells, with the chance of an isolated shower." The nine-race extravaganza at Cheltenham – which includes the Grade 1 Clarence House Chase saved from Ascot last week – is due to get underway at midday and Claisse expects fans to flock through the gates to enjoy the top-quality action. Claisse added: "Tickets are still available but, as always, the advice is to arrive early as we are expecting a record crowd for this fixture. And why wouldn't you want to come!" Doncaster stages three Grade 2 contests as well as the feature Sky Bet Handicap Chase and the going remains good, despite the course receiving 3.5mm of rain overnight. Speaking on Saturday morning, clerk of the course Roderick Duncan said: "We've had about 3.5mm and it is still raining but it not heavy –it is only spitting. The light rain is forecast to continue until about 9am and then it is due to clear up. 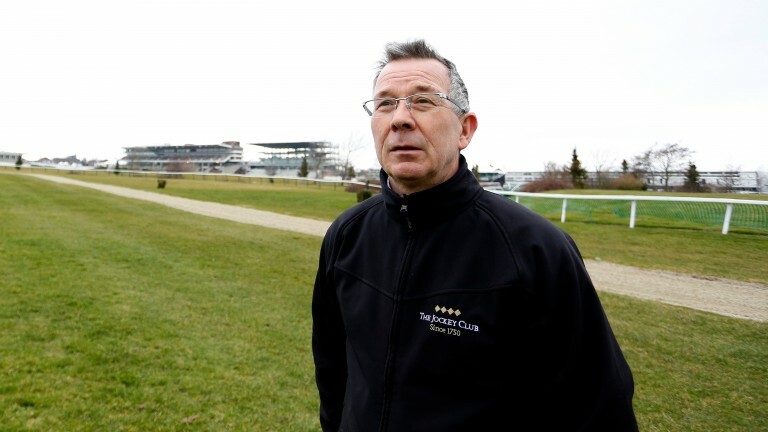 I've left the ground unchanged and I'll walk the course again at about 10am." The first race at Doncaster is set to be run at 12.50pm, while the Sky Bet Chase is at 3.50pm. Uttoxeter (heavy on the chase course and soft, heavy in places on the hurdles track) stages the day's other jumps meeting in Britain, while they race on the all-weather at Lingfield and Kempton, where the going is standard. The going at Naas is yielding, yielding to soft in places.